Dubai- the city of wonders has presented a new wonder recently. 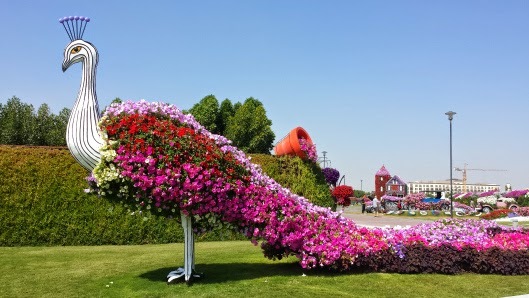 “ Miracle Garden ” But it is not as artificial as the Dubai Burj al Arab or Largest shopping mall in the world. 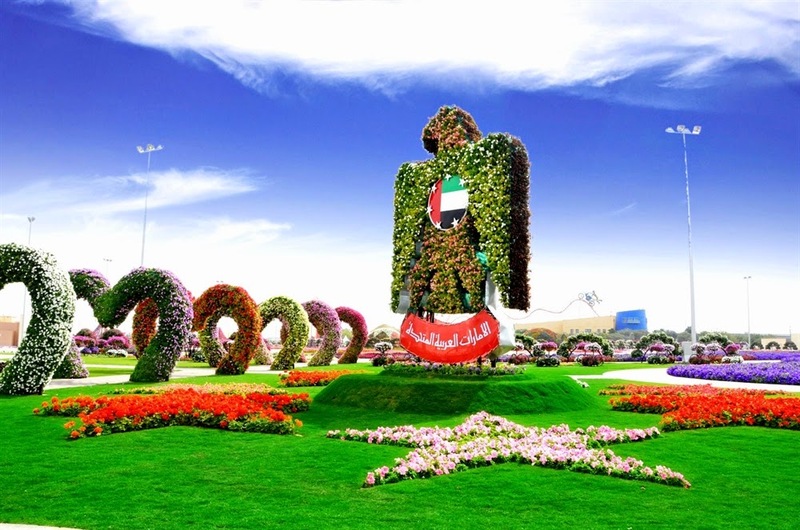 It has ranked 42th position among the all 206 attractive visiting places of Dubai. It is not surprising Dubai International Airport is one of busiest airports in the world. 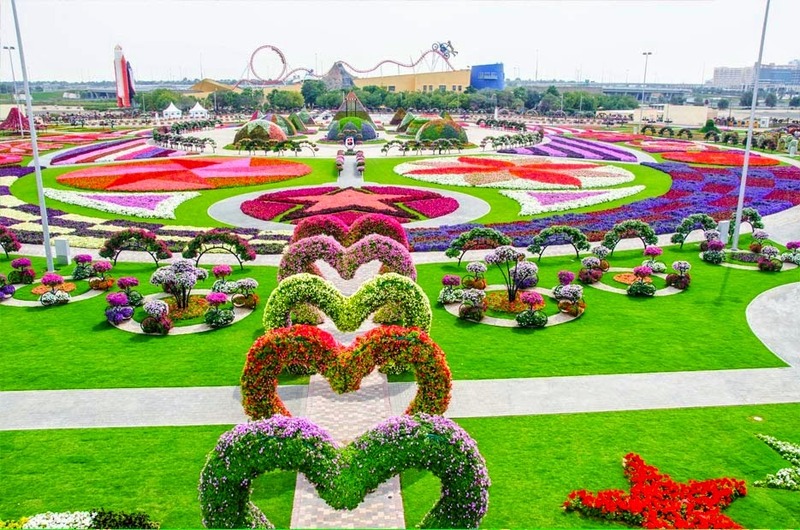 Miracle Garden is the largest garden of flowers in the world which contains over 45 million blooming flowers of 45 different species and the garden is surrounded by the longest flower wall of the world. It is a new addition in the field of Environmental tourism. 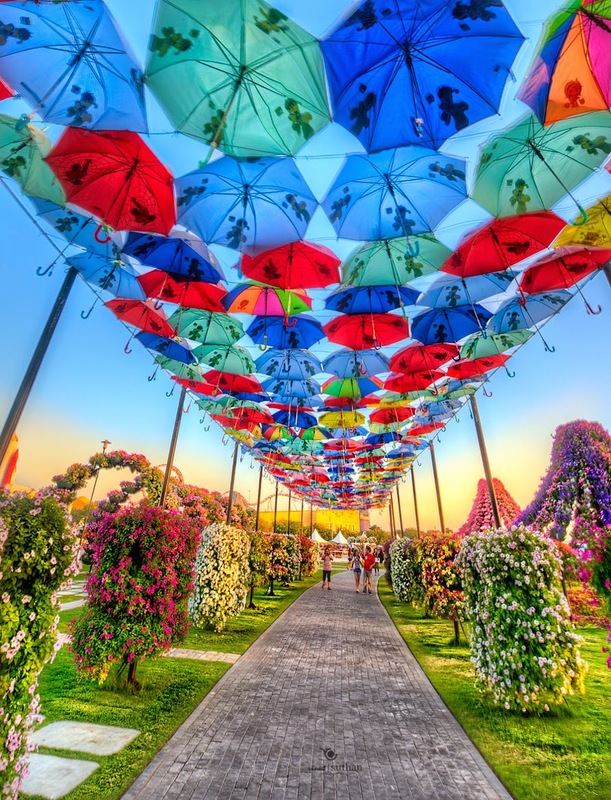 It is located near the Arabian Ranches in the Dubailand. The total area of this garden is almost 72 square meters. This vast oasis has been created in desert by reusing waste water through drip irrigation. In the winter season it is kept open for the visitors as winter is the optimum growth period for trees and plants in Dubai and it remains closed at the peak of summer when the average temperature remains above 40 degree Celsius. 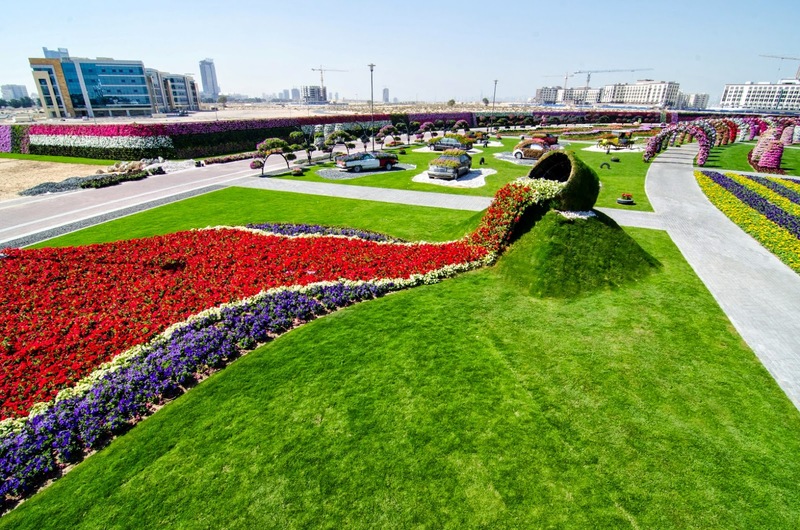 A landscaping company named AKAR has developed this oasis. The objective of creating such a vast garden is to attract at least 1 million visitors per year. 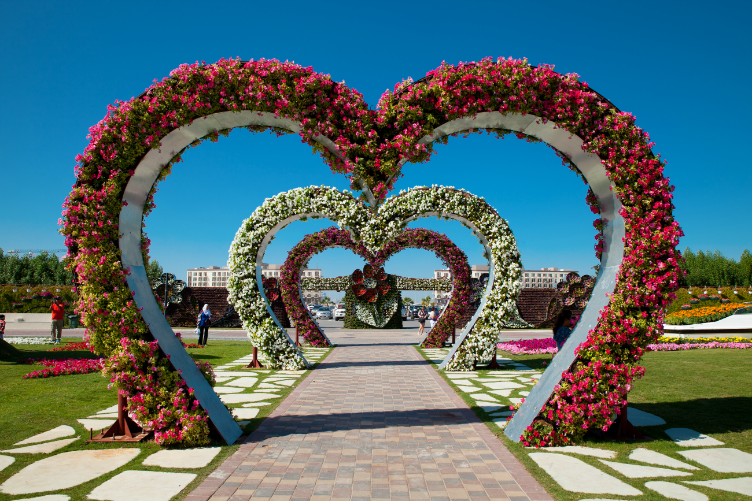 Miracle Garden was first opened on the Valentine’s Day in 2013. But it was closed for several months as it was not fully completed then and again it opened on the October of 2014. The opening time for this visiting site is simply 10:00 am to 10:00 pm. But it remains open from 10:00 am to the midnight on each weekend and public holiday for the visitors. The entry fee is 20Dhs. The beauty of this garden is beyond description. 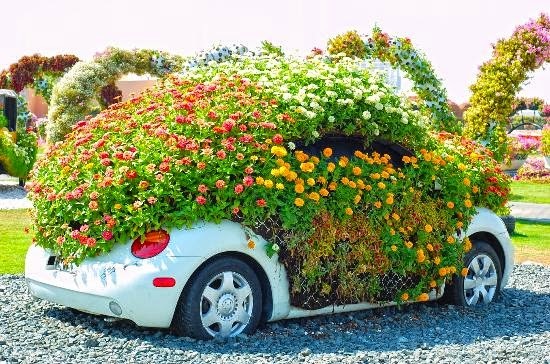 There are several flowerbeds and many structures of stars, hearts, pyramids, igloos, cars and other objects those are made of blooming flowers. There is a beautiful combination of colors and shapes that dazzles the eyes of the visitors. 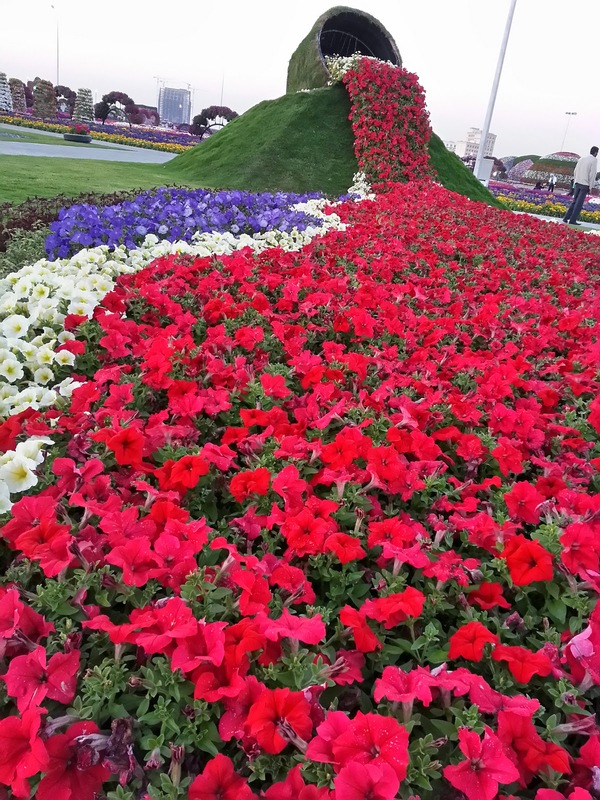 The magnificent designs and shapes of the flowerbeds have created a natural and marvelous sweet environment in the garden. 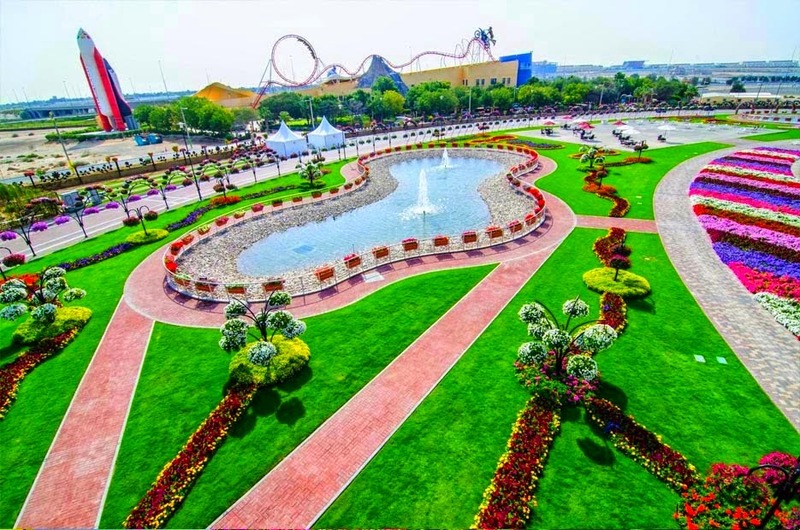 For adding new experiences to the repeat visitors the designs and structures of the flowerbeds is being changed from time to time. 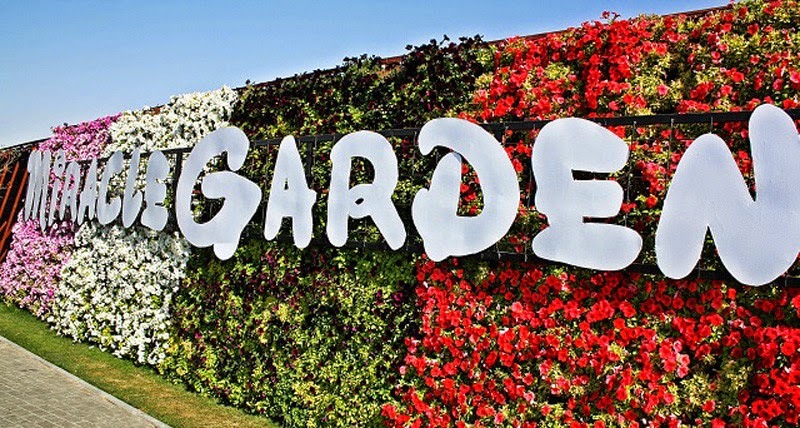 The main attraction of the garden is the ‘flower wall’. 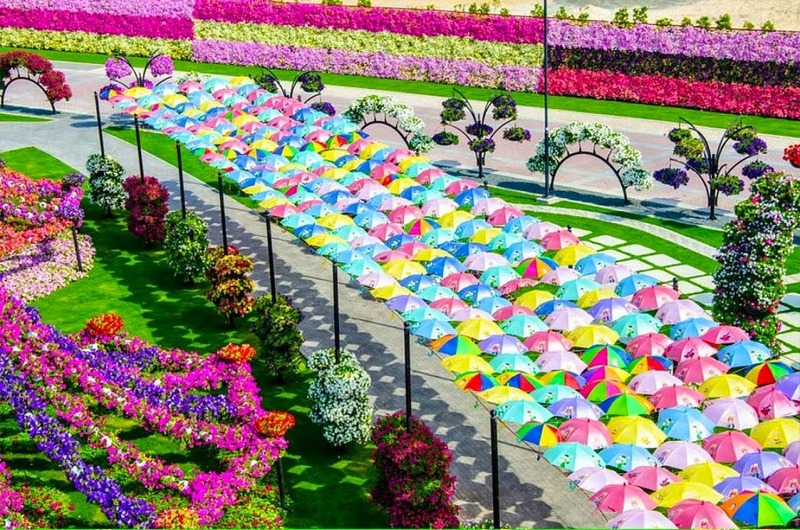 The flower wall in the Miracle Garden is the longest flower wall in the world and thus the Miracle Garden of Dubai has obtained place in the Guinness Book of World Records for the longest flower wall ever. In the oasis, facilities of sitting, open parking, prayer rooms, toilets, VIP parking, security rooms, retail stores, first aid rooms, restaurants and others are available. Some new addition will take place in the Miracle Garden like the Butterfly Garden. There will be created 9 domes and each of them will be filled with a lot of butterflies with varied colors, sizes and types. A butterfly museum and park also will be established in the garden. 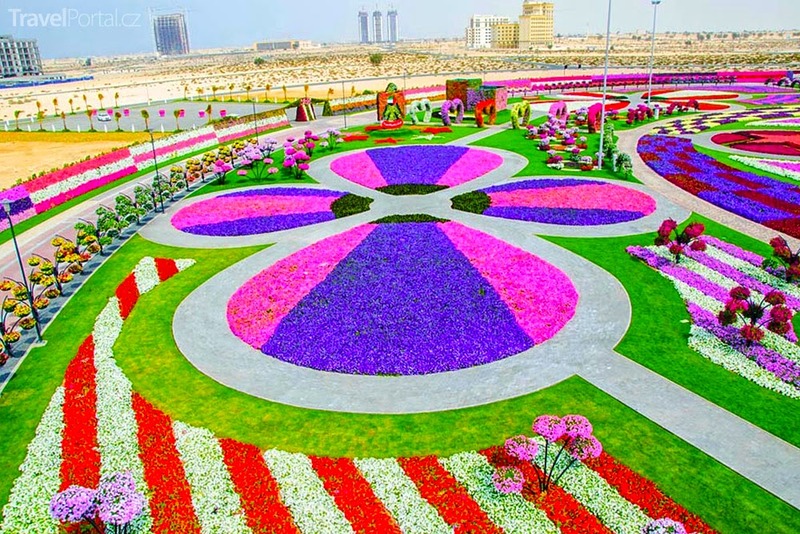 A marvelous plan of building a 15 meters flower clock is also in hand of the developers of the Miracle Garden. So, if you are a nature lover (especially flower lover); you should not wait to visit this magnificent place of earth. This garden is blessed with heavenly beauty that fills and soothes the heart with peace, wonder and joy.